What Is a Flea Allergy? A pet infested with fleas may lick, bite and scratch. Continuous scratching is a common sign of flea allergy dermatitis. 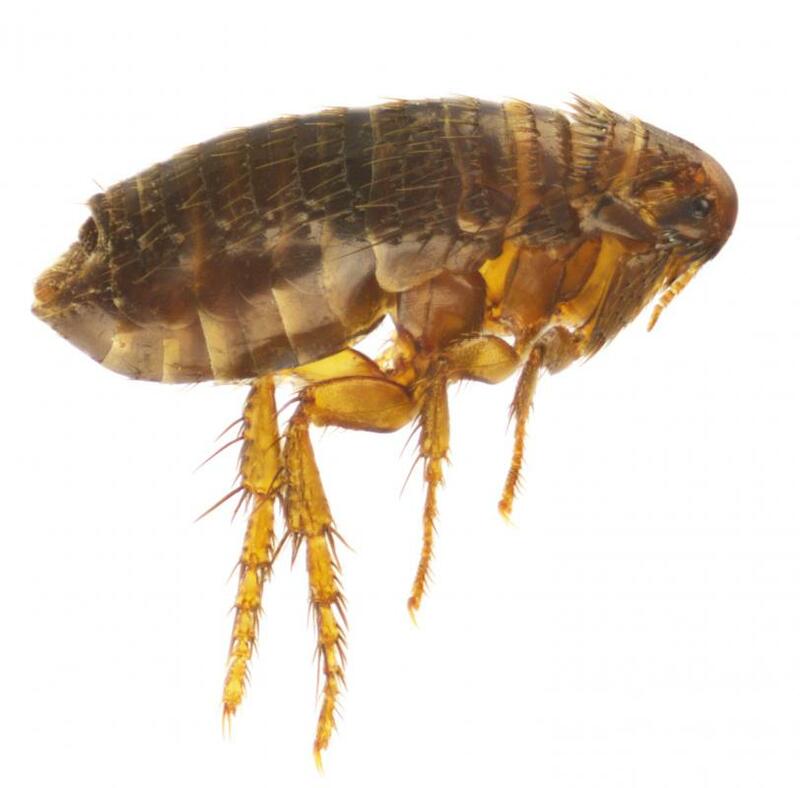 A flea allergy represents a reaction to substances in the saliva of these parasites. 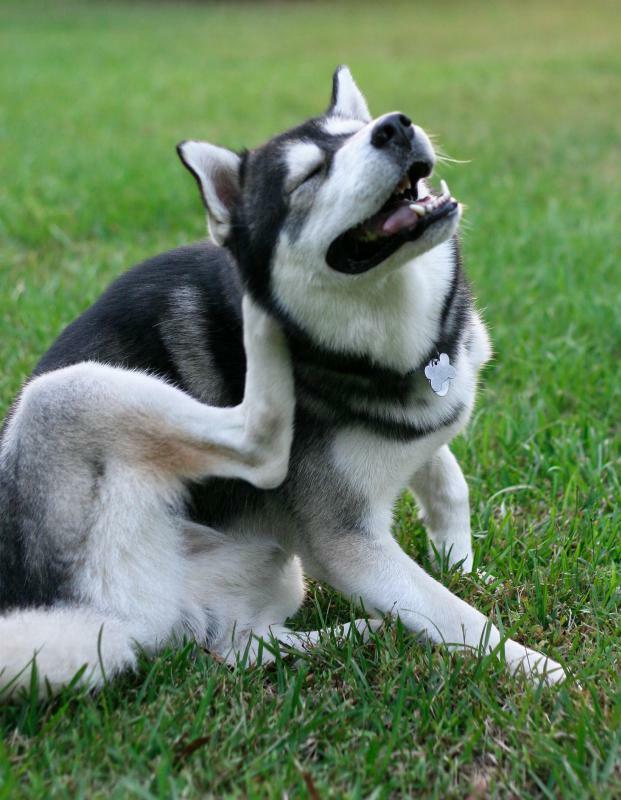 Animals with a flea allergy commonly suffer from intense itching that causes scratching and biting. This condition is the most common skin ailment in dogs and cats, and can be difficult to control unless the life cycle of a flea is interrupted. 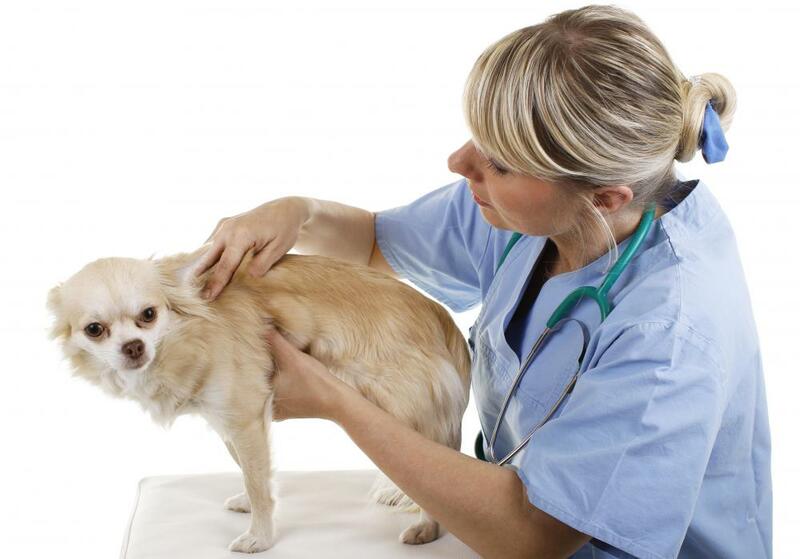 Flea allergy dermatitis defines a reaction to the protein in a flea’s saliva. Pets infested with fleas might constantly lick, bite, and scratch the irritated area until the hair falls out. A flea allergy generally does not appear until after an animal is six months old and usually first appears between one and three years. Some pet owners notice that flea allergy symptoms decrease as the pet ages. Another sign a flea allergy might be present is the appearance of crusty sores on the animal’s stomach, legs, and at the base of the tail. These lesions might become inflamed and appear red as the allergy progresses. If infection sets in, the sores might emit an unpleasant odor. Cat fleas might carry diseases that can spread to humans and other animals, and fleas might lead to tapeworms. 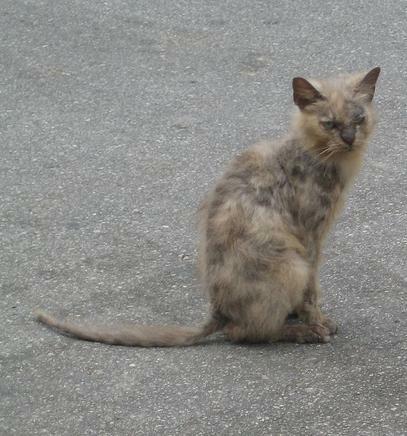 Fleas will bite humans if a dog or cat is not immediately available. Most human flea bites occur from parasites in carpeting or upholstered furniture. People who are bitten commonly complain of itching and a small bump when the flea injects saliva. Over-the counter remedies typically treat itching until the flea bite resolves on its own. A flea’s life cycle usually consists of three to six weeks, but the time varies greatly based on temperature and humidity. An adult flea hatches in one to two weeks, and females lay up to 40 eggs a day. The female flea begins laying eggs about a day after its first meal from the host animal. These white, pearly eggs might fall off the pet and turn into larvae somewhere in the house or yard, where fleas prefer dark areas. A sticky cocoon is spun that can be found in dirt, carpet, or in an animal’s bedding. This stage generally lasts eight or nine days, but can take as long as six months. The adult flea comes out of the cocoon when it is attracted by movement, vibration, and carbon dioxide exhaled by animals or humans. It then jumps onto the host animal, where it begins feeding on blood. 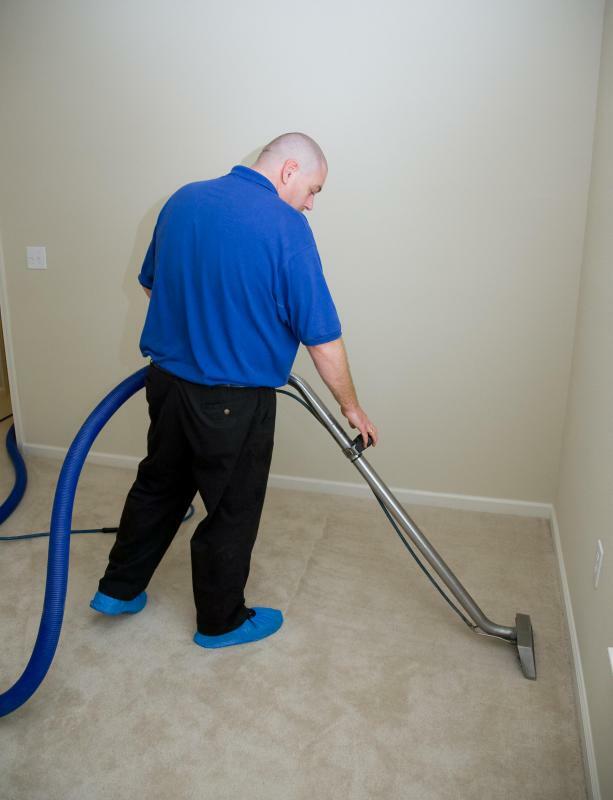 Veterinarians suggest using a strong vacuum cleaner to rid the house of fleas in carpeting and furniture. The bag should be disposed of after vacuuming and before shampooing or steam cleaning. Pet bedding should be washed at least once a week until the flea problem subsides. Outside areas might be sprayed with pesticide to kill any parasites in dirt or vegetation. Animals with a flea allergy should be treated as a preventative measure, especially in the summer and fall when the problem worsens. Oral and spot treatment proves more effective in controlling these parasites. Studies found flea collars, dips, and shampoos are less effective in killing fleas and their eggs. Ultrasonic collars and most home remedies do not work to prevent a flea allergy. What Are the Signs of an Allergic Reaction in a Cat? How Do I Treat Human Flea Bites? How Do I Treat Cat Flea Bites? What Are the Best Tips for Organic Flea Control?